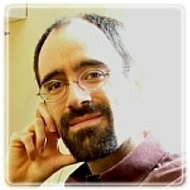 Harrisonburg Therapist: Sean Slevin - Therapist 22801. Send A Message To Sean. Session Fees: Sliding-Scale ($120 to $80) based on income. First Session is Half-Price. I understand firsthand that it takes courage to ask for help, regardless of how intensely stuck (or not) one feels. Wherever you are on the spectrum, you are taking an important step in researching counseling options. All of my counseling services are oriented around helping others grow in ways that will last. Some people come into counseling wanting a little extra help in achieving important goals (be they personal, relational or vocational), while others are more intensely in the pain of difficult patterns. Regardless of whether your distress is little or great I will be glad to walk with you in making sense of, and working through, whatever is getting in the way of you experiencing the degree of wellness you desire in your life. I use my understanding of personality types to tailor counseling to your specific needs. And my relational approach provides a safe context for you to work through the places you are stuck and to thus become more fully yourself. Coming from a Christian perspective, I have deep compassion for the ways that growth can be difficult and painful at times, and also great hope for each person's innate ability to change. Additionally I am able to help you to make sense of spiritual aspects of your life (if that is something you wish to incorporate). I am informed by my Christian faith (especially the compassionate life of Jesus), and I also respect others’ views. Clients from all faith and non-faith backgrounds are welcome. The discussion of spiritual topics is always at the discretion of each client. Learn more about me and my counseling services (including a video unpacking my Christian perspective), explore online resources (including quizzes for anxiety, depression, and shame), view my current schedule, or email me (via my website: www.Transitions.cc). The below are some of the kinds of issues I offer counseling for. While these counseling topics do represent what many think of when they think of counseling (and I do help many people with these kinds of struggles), I believe people are more complex (and more important) than particular labels or symptoms. In other words, I do not define people by their struggles, but rather seek to help them define themselves by who they truly are (i.e., a person of value, with certain personality characteristics, and a variety of strengths and weaknesses). So rather than being something that defines a person, I think that lists like the below are best treated as a starting point for beginning to make sense of where one is at, as part of discovering where it is one wishes to go. Clients who are not able to come to my office are welcome to consider Distance Counseling. I utilize a secure, online, web based technology (similar to Skype, but easier to use) in conjunction with webcams to provide two-way, interactive video counseling sessions over the internet. Clients can see and interact with me (and I with them) in real time, as if we were in the same room. This provides a similar experience to in-person counseling in that the client and I can interact with and respond to each other without losing all of the nonverbal pieces of communication (both visual and auditory) that account for the bulk of relational interactions. Please note that I primarily serve adult individual clients via Distance Counseling. I do not usually see couples, adolescents or children via video sessions.